A brief walkthrough detailing how to use the 'Figure of 8 Strip / Channel' to secure your caravan or drive-away awning to the gutter rail of your vehicle; ideal for those who want to connect their awning to their motorhome on a temporary basis. This guide outlines the simplest method available to attach a drive-away awning to your motorhome, requiring just a tennis ball to achieve and preventing damage to your vehicle. 'Drive-Away Guidance Strips' are a particularly useful accessory that allow you to allign your vehicle perfectly, as well as marking your parking space off from other motor-homers. Watch this simple walkthrough, detailing what they are and how to use these as effectively as possible; park perfectly, effortlessly! Watch the following video for a demonstration of how to use a drive away kit to attach a drive away awning to a vehicle with a wind out fiamma awning. Please note that the process is the same if you don't have a fiamma rail and yours is a simple awning channel on your vehicle. If your Oxygen AirFrame tube is slowly deflating over a number of hours it may be that the Dynamic Speed Valve or Intelligent Frame Relief Valve needs tightening. You will find the tool to tighten your valves in your repair kit (If you do not have a tool then please email cs@blue-diamond-products.co.uk to request one and we can post one to you) To tighten the valve you do not need to remove the tube from the product we have done this simply for demonstrative purposes - you can simply tighten the valve in place. The following video shows you how to tighten the valve. The hand pump can get a bit tired after a lot of uses, this is simply due to a lack of lubricant inside the pump. This video demonstrates how to re-apply the lubricant to make the pump as good as new. Full demonstration of how to swap a tube and sleeve over in the event of having to replace one of the Oxygen Air Frame tubes in your awning or tent. Full demonstration of how to erect the Outdoor Revolution Airedale 12. This is a beast of a tent that is so easy to put up; don't be put off by its size!! The 'Jet Stream Electric Pump' (and the twin model) is a fantastic compact high-pressure air-pump accessory that provides simple and effortless inflation of air-frames to make those longer, tiring days that little bit more relaxing when camping, motor-homing or caravanning. Watch the video below to find out how to operate the pump most effectively and decide whether this convenient accessory is for you! Our inflation system is a unique combination of our patented 'Intelligent Frame Relief Valve', expelling any excess air above a certian PSI (caused by over-inflation or changes in the ambient temperature) and the famed 'Dynamic Speed Valve', providing speedy inflation and deflation at the simple click of a button. This is the quickest and most reliable inflation system on the market; watch the following video below to see our inflation system in action and discover for yourself! 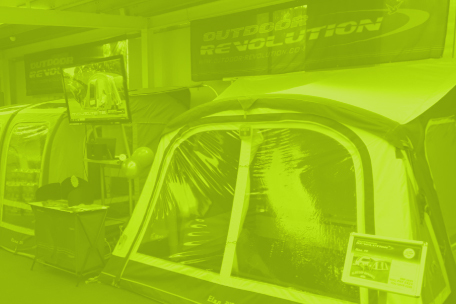 Watch the video below to demonstrate how to pitch an Outdoor Revolution Air Tent. This is the Airedale 5 Oxygen Air Frame Tent but all the Outdoor Revolution models are similar to put up so follow these steps and it'll be easy peasy. Our products are amongst the quickest products to set up and take down through inflation/deflation due to our unique range of valves and more. However, still feeling confused about how you are going to pack the product away? Watch this video to see the easiest and most efficient method of folding and rolling the canvas back into the bag; even for beginners! 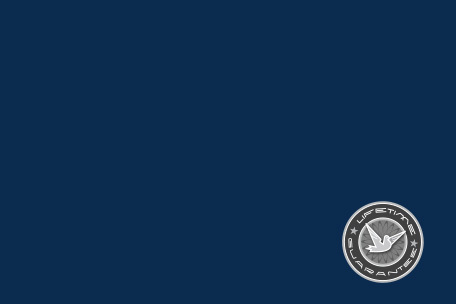 The Dynamic Speed Valve is the fastest most reliable valve on the market today - derived directly from the marine industry this valve has been tested to its limits. The Valve has a single quick release button which when pressed in the valve is open and when pressed out the valve is closed. To inflate the tube the valve must be closed to allow a seal to prevent the air from escaping back out. To deflate simply press the button in and the quick release will do the rest. If you are packing away your product we recommend leaving the valves open therefore all the air can be rolled out of the tubes. The following video shows you in a bit more detail how this works. The Intelligent Frame Relief Valve is a breather valve which combined with the Dynamic Speed Valve create the strongest most robust tube available. The breather valve expels any excess air from the tube to prevent over inflation of the tubes; this works in two ways. 1. If you are inflating the tube and the tube reaches the required PSI the relief valve will release the surplus air to prevent the tube from bursting. 2. If the ambient temperature changes and the air expands inside the tube, the breather valve will release the excess air. The following video demonstrates how this works. The brand new Airedale 7 inflatable family tent is giant in size, however, can be pitched within a matter of minutes. Watch this time lapse to discover just how easy this model is to pitch! The removal of your valves, or the addition of any replacements, is really as simple as (un)screwing them using the inclusive valve tightening tool from your repair kit. Witness just how simple this is below!